"Take me Back To Rio " RADIO EDIT 5 minute 05 seconds! 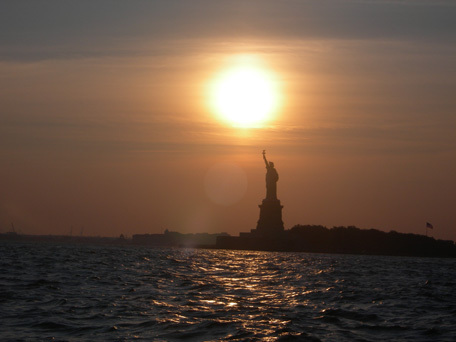 IMPACTING/GOING FOR ADDS TO RADIO August 17, 2009 PIANIST Composer MIKE CATALANO’s New single Take me back to Rio, is a up tempo song with the TASTE of Manhattan AND a touch of Rio. all star band of support Will Lee, Chuck Loeb, Steve Gadd, Rob Mounsey, Bashiri Johnson, and Vanessa Falabella. Recorded in Manhattan it’s a flash back to Mike’s many trips to Rio, his passion for Brazilian Grooves and it’s influence on American music since the early 1960’s when Antonio Carlos Jobim and Stan Getz, brought the Bossa Invasion to America. Mike Catalano said “What triggered me, to release this song, was my recent first trip to California, on my early trips to Rio, the Brazilians were all telling me they wanted to go live in California, I didnt know why until I went to Los Angeles, the beach coastline and it’s roads it really LOOKS LIKE RIO”. Bonus cuts, for programmers listed below include URBAN DELIGHT/ MO’BIM, an R&B flavored, True New York groove song by Mike Catalano as a tribute to JOBIM and also Dindi, featuring multiple Grammy winner, IVAN LINS. Mike Catalano, A Manhattan Affair, Produced by Mike and bassist Will Lee , and it features a variety of new smooth jazz hits by piano meistro Mike Catalano and a great lineup of musicians, pioneers and industry legends with Mike, Special Guests includes a WHO's WHO of the smooth jazz industry...Will Lee, Rob Mounsey, Bob James, Ivan Lins, Chuck Loeb, Lou (Blue Lou) Marini, Steve Gadd, Peter Erskine, Shawn Pelton, Ricardo Silveira, Bashiri Johnson, Jeff Mironov, George Whitty, Mark Egan, Nico Assumpcao, Randy Brecker. 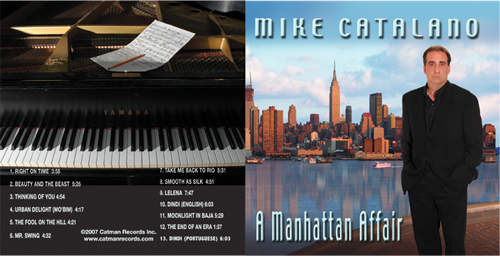 Liner notes by Steve Dunleavy of the New York Post, written Exclusivly for Catman Records Inc.
New to Smooth Jazz, but not new to the music Industry veteran PIANIST COMPOSER Mike Catalano brings you his Debut SMOOTH JAZZ CD, A Manhattan Affair, straight from the shores of the Hudson River! It’s smooth jazz straight from where no man has gone before. (lately)..the streets of Manhattan! Mike’s music became familiar to millions of Americans via his memorable compositions, and his tasteful touch on the piano, broadcast Nationwide nightly on Fox TV’s A Current Affair with Maury Povich, The Reporters, Good Day New York, and many other shows for Fox TV in New York. Now he celebrates his entry into the pop world with his smooth jazz CD, featuring 9 brand new fresh catchy exciting compositions, and 3 breath-taking original arrangements of cover tunes. His long time dream of making a smooth jazz album is finally come true and he's invited the best of the best to participate! -the debut single Smooth as Silk puts you flying over the city with Mike's piano, and a sensual trumpet solo by all time legendary Grammy winner Randy Brecker and an action packed band! -Bob James with 2 Special Guest appearances by on Rhodes duet style with Mike's acoustic piano on Disney's Beauty and the Beast, with eloquent soprano Saxophone of Blue Lou Marini (of SNL and BLUES BROTHERS FAME) and the magical "Moonlight in Baja" track. -Rob Mounsey's amazing Orchestrations and featured part on Mr.Swing, and more more cool moments! -Tasteful sensual guitars of Jeff Mironov, Chuck Loeb and Ricardo Silveira! -Pristine digital sound, mixed by Ken Freeman (of Fourplay, Bob James) and mastered by Greg Calby, Sterling sound NYC. 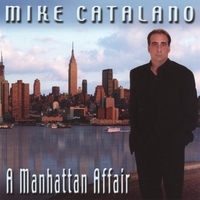 "A Manhattan Affair" is the debut CD from Pianist Composer Mike Catalano in New York, his prior success include theme music for Fox Tv's A Current Affair with Maury Povich, Good Day New York and many other Fox shows, plus his first record in 1989 "A Rio Affair", released in Brazil and Japan. "Take me Back To Rio "
RADIO EDIT 5 minute 05seconds! Browse THE WHOLE CD, A Manhattan Affair HERE! "It's basically a musical tribute to Manhattan, Smooth Jazz style, I couldn't think of anything more fun to do than making this record or maybe now going out to play it live"